Talk about gorgeous color? The photo doesn’t do it justice! Amounts are about (I rarely actually measure) 2 to 1 vodka to juice. Fresh grapefruit juice and vodka are the primary ingredients. 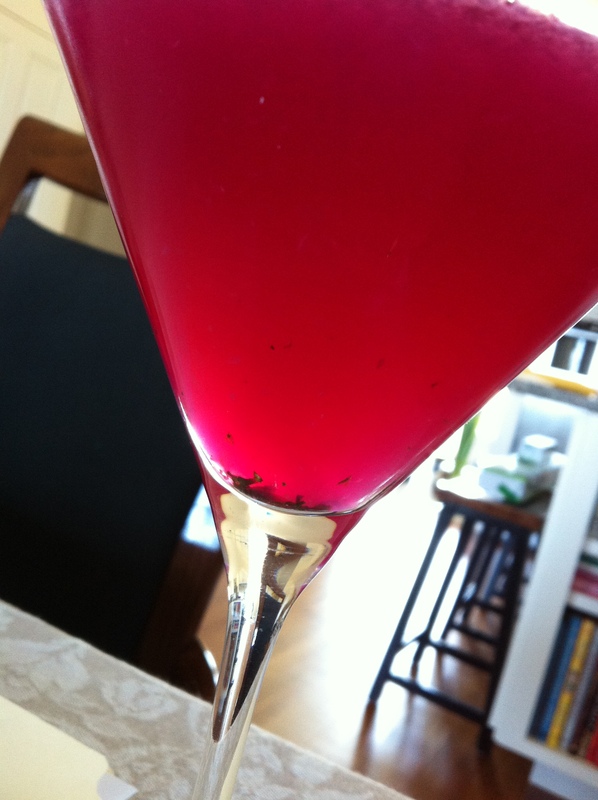 But I made a simple syrup by cooking raw beets with a splash of St. Germain, sugar and water. Then I made a basil simple syrup (which I LOVE on strawberries with fresh lemon) and added a dash of both simple syrups to come up with this beautiful cocktail! I give you, the Fuchsiatini !! did you eat the beets?